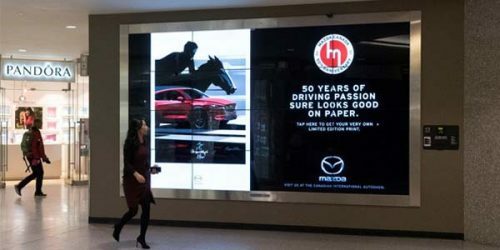 Pattison Outdoor and its digital and interactive department, Fourthwall, partnered with ad agency J. Walter Thompson to develop a new digital storefront exclusively to celebrate the 50th anniversary of Mazda Canada. 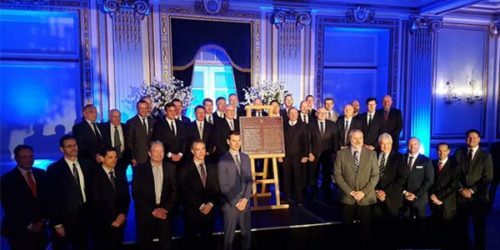 Parks Canada has commemorated the 100th anniversary of the founding of the National Hockey League (NHL) in Montreal with the unveiling of a new plaque from the Historic Sites and Monuments Board of Canada (HSMBC). 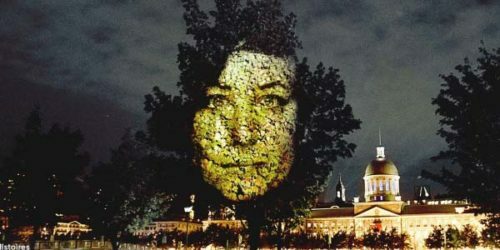 Celebrations of Montreal’s 375th anniversary are well underway with the recent launch of several new and ongoing events incorporating digital projections, banners and other types of graphics and signage. A ‘flying billboard’ over Toronto recently launched a tongue-in-cheek campaign promoting Montreal as a tourist destination by highlighting the city’s 375th anniversary celebrations, which will take place throughout 2017. The Montreal Museum of Fine Arts (MMFA) has unveiled its plans for a public art exhibition that will honour the city’s 375th anniversary next year, along with the 50th anniversary of Expo 67 and the 150th anniversary of Canada. Last month, Pride Signs in Cambridge, Ont., celebrated its 30th anniversary with a special afternoon event for its 150 employees, featuring a group portrait, paintball, food trucks, cake, gifts and a company trivia contest. Compagnie Finzi Pasca is planning a new multimedia show, Montreal Avudo, to help celebrate Montreal’s 375th anniversary next year. The production will take place in the west section of the city’s old port, near Convoyeurs Quay and the Montreal Science Centre. 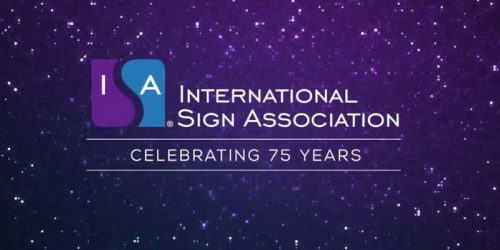 In 2006, a new breed of sign industry publication was born. Sign Media Canada made its debut that year with a digital signage-themed cover, but when readers opened its pages, the first news item they saw was about the Letterheads, an organization committed to keeping traditional signmaking techniques alive. Media Resources International (MRI), now celebrating its 50th anniversary, has evolved significantly throughout the years under the guidance of Keith Edwards, who is currently its co-owner and chief operating officer (COO).